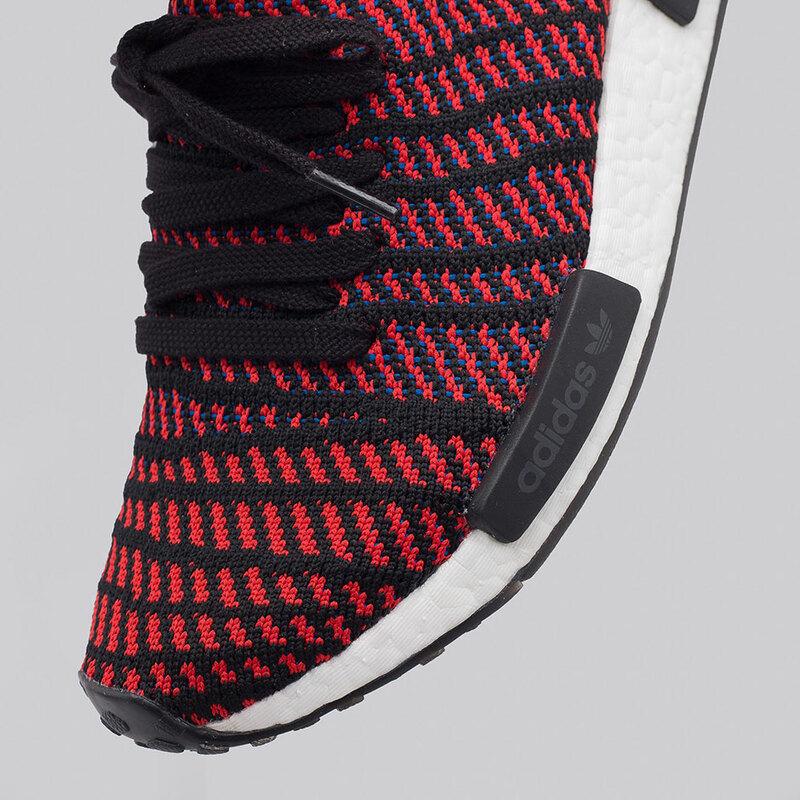 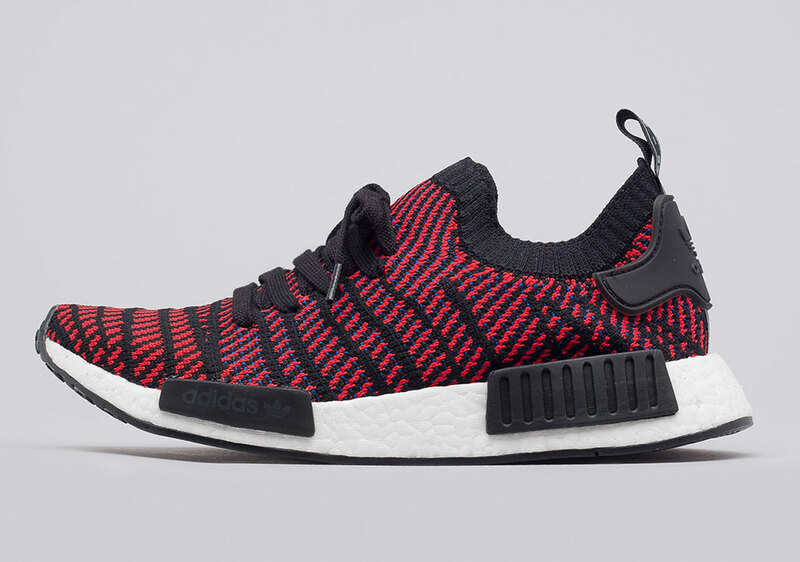 adidas’ newest NMD style is here by way of the NMD R1 STLT that features a uniform Primeknit pattern infused with thick ribbed striping that provide the wearer with support. 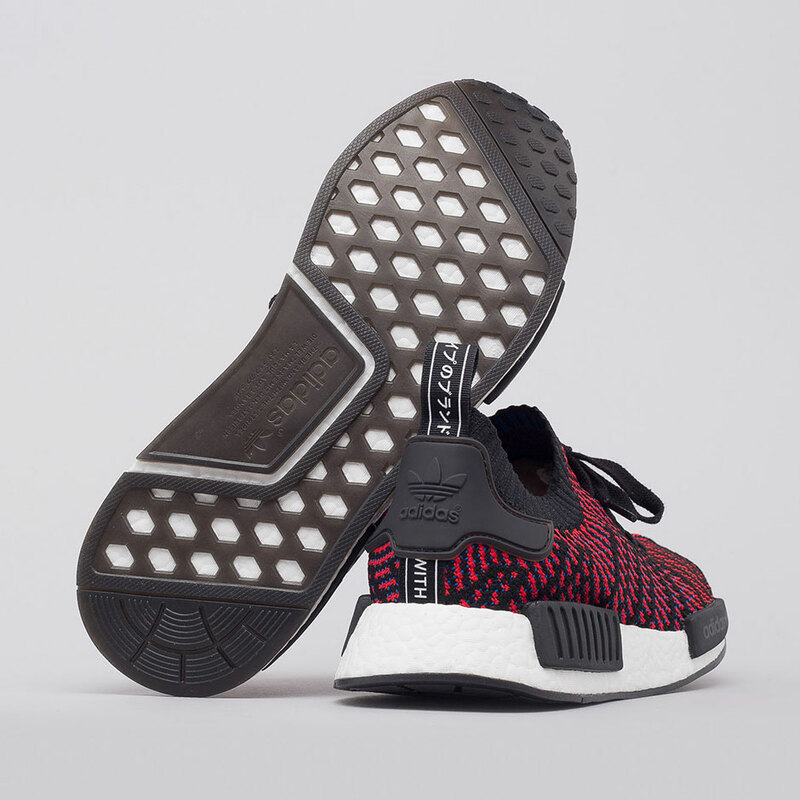 Still equipped with a BOOST sole and a sock-like ankle collar, the Trefoil Brand does not vary too far from the winning formula, while still being able to introduce a new aesthetic. 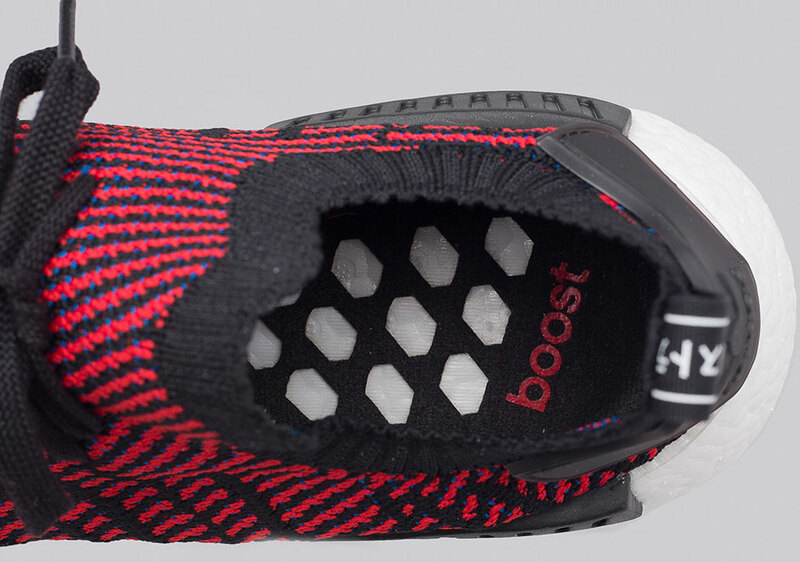 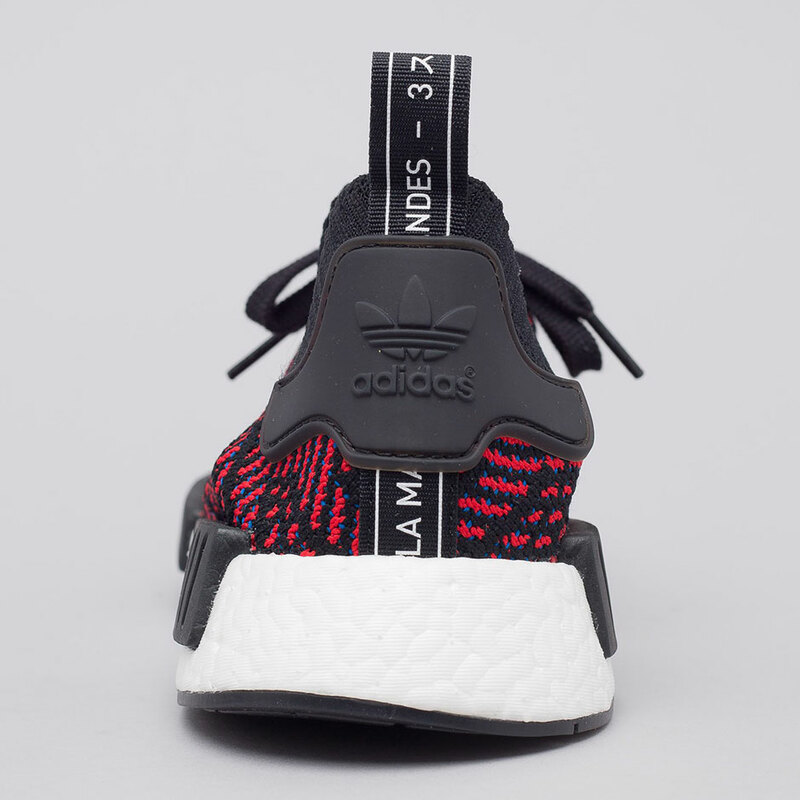 The first model debuting from adidas’ newest line is this Core Red variety that dons a primarily red upper with subtle hits of blue for additional contrast as well as black accents on the bumpers and other elements throughout the sneaker. 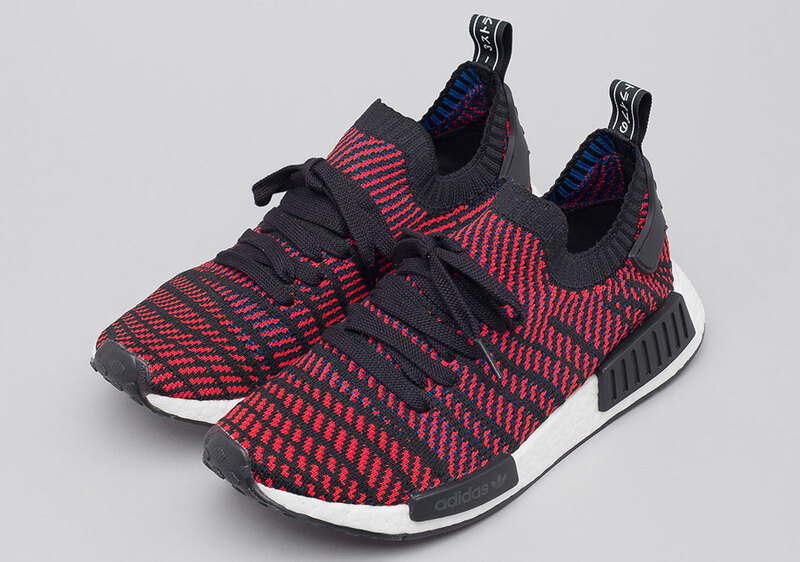 This pair is currently available at select adidas stockists worldwide and can be had by fans of the Brand with the Three Stripes for $170 USD.